Approximately 5 to 6.5 inches long and 2 to 5 inches tall. There's no use crying over spilled milk, especially when there's a cute kitten around to help clean it up! 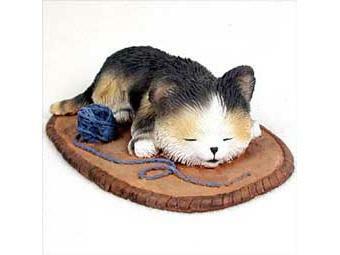 These adorable stone resin kittens are styled for the lasting enjoyment of any feline fanatic! Buy one or the whole "kitten kaboodle"! All MyKittys are individually boxed.